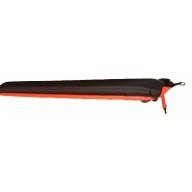 Surface marker buoys are manufactured on-site. 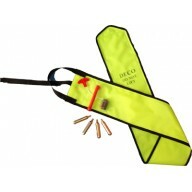 There are several different shapes and colours and can be bespoke or standard in size. 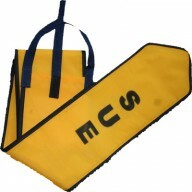 Used as a signal marker for the diver to surface, They prove a useful tool to skippers or onlookers to identify where divers are located in the sea whilst doing there accent and decompression stops. 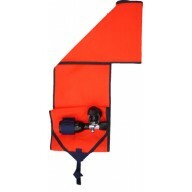 Divers also use marker buoys as ascent tools. 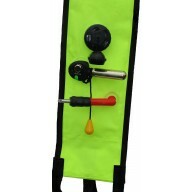 By attaching a reel line and inflating it slightly under water, the buoy rises to the surface of the water and denotes where the diver will appear. 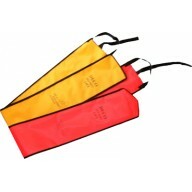 There are many types of marker buoy available. The first is ‘out of gas’. This informs the skipper that the diver it out of air. When the skipper sees this they know to send down another cylinder of air, as surfacing quickly is not an option for the diver. 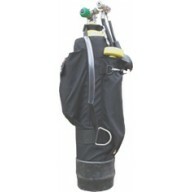 ‘Co2 out of gas’ buoys do the same job, but use Co2 and built in firing mechanism, rather than air from the divers cylinder, to inflate the buoy under water. Another type of buoy is ‘open ended’. This design has a restricted throat, so once it blown up it does not deflate. This is the most basic buoy design. More options are a ‘self seal & dump valve or sealed. When this buoy is inflated under water it expands and self seals preventing air from escaping. As the buoy gets closer to the surface it may become over inflated and the built in pressure dump valve can be activated to release excess air. 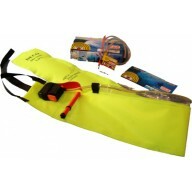 This prevents the buoy from exploding. 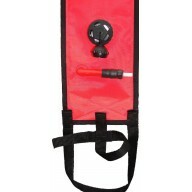 Sealed SMB inflated by oral tube, suitable for Sea Marshall lost diver Epirb ..
Standard lettering in black these are priced at £2.00 per letter to a maximum of 20 charactures incl.. 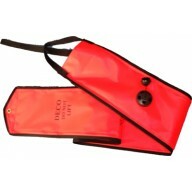 These extremely versatile pouches provide protection as well ease of use. Their many key features ma.. Your logo printed in black on one side of the SMB. A set up figure of £50.00 there after the cost is.. Sealed SMB inflated by C02 canister and deflated / inflated by oral tube - Hi Viz only. Includes 2.. When this buoy is inflated under water it expands and self seals preventing air from escaping. .. 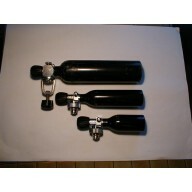 If you send us your damaged or flooded or just simply very old and tatty.1 or .2 ltr ali cylinder we.. When this surface marker buoy is inflated under water via the .1ltr/.2ltr cylinder it expands and se..
Standard open-ended SMB with funnelled opening, which reduces loss of inflation at the surface .. This smb comes in almost any format or size For instance you can have a self sealed + dump valv..